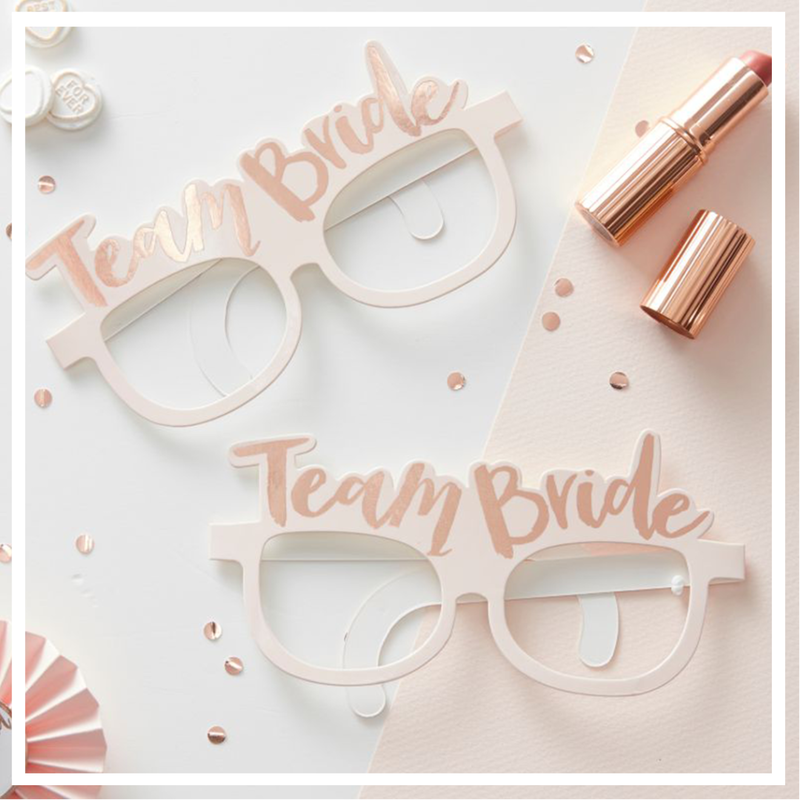 #TeamBride – The only Hen Do accessories you need. When you have your girls all around, there is no better feeling than truly relaxing, letting your hair down and watching the good times roll. Whether you are planning your own do or planning for the bride herself, we have the best party accessories to truly celebrate in style! Ranging from badges, sashes and temporary tattoos, we promise you’ll look your best when celebrating! Pose with friends with these fun glasses and capture your magical moments with lots of pictures. Everyone will know your girl tribe if you’re all wearing these glasses! 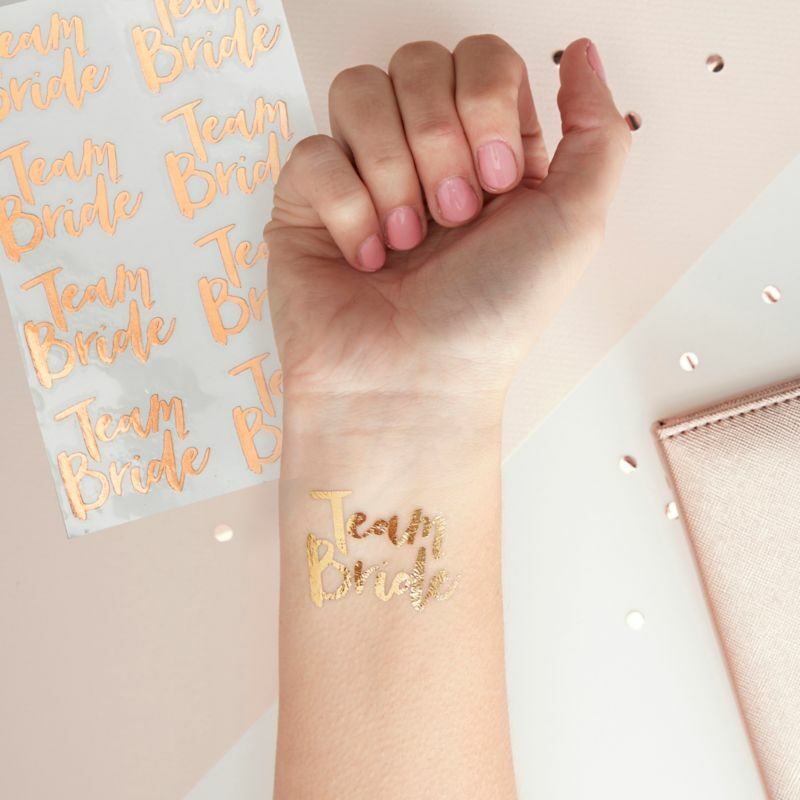 Celebrate in style with these stunning rose gold Team Bride temporary tattoos. They are easy to apply and remove and are perfect for any special sophisticated hen party. One of the must haves for any hen do is a sash or two. 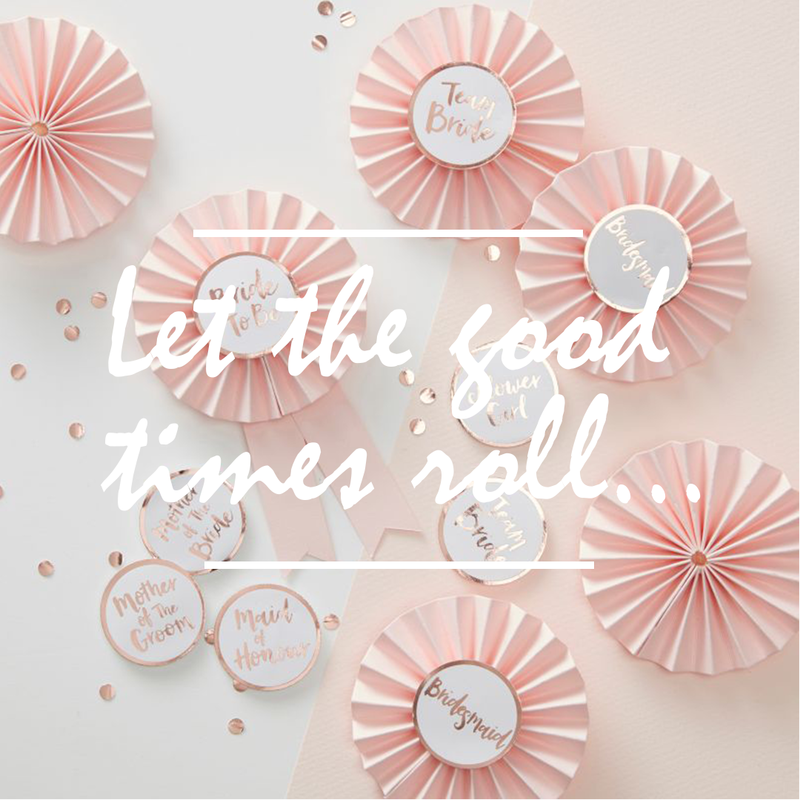 These come in a variety of colours, sizes and with a number of slogans too, but you need to have one for the bride to be as well as some for the rest of the hen party too. When it comes to the bride, the more noticeable the better, after all, you want to make sure that everyone knows that #teambride have arrived. Another must have for any hen do is the L plate for the bride. It might be a bit cliché, it might be a bit embarrassing, but to be fair, that is always the main point of any accessory for a hen do. If you team it with some fancy dress, then you are going to make sure that the leading lady is noticed. There is going to be quite a few shots consumed during any hen do, which means that you can make things all the easier for yourself by buying a shot glass for the hens to take around with them. These shot glasses often come on a necklace of some description, which means that even as the night goes on and things go a little blurry, all of the hens will have a shot glass with them. Even the most mature of us simply cannot resist the glory that is bubbles. So, why not add them into your hen party gift bag? They are not only great fun, but they are also small enough to be carried around, no matter where you go. Playing games and daring each other seems to be part and parcel of any hen night antics, however, it can be hard to think of things to do. A great idea is to buy a set of dare cards as not only will this give you inspiration for the entire night, but will also make sure you have lots of fun too. Whilst it is all about your bride tribe then your accessories when it comes to a hen do, that doesn’t mean that you should forget about all those little additions completely. Think about the bride and what type of things she will enjoy the most and then go from there, or if you are the bride, then make sure that you take this as your opportunity to have some fun and be a little on the silly side. Need hen party inspiration? Discover our latest Pinterest board with all the ideas you need!